ROH has announced the next three wrestlers for this year's Global Wars tour. 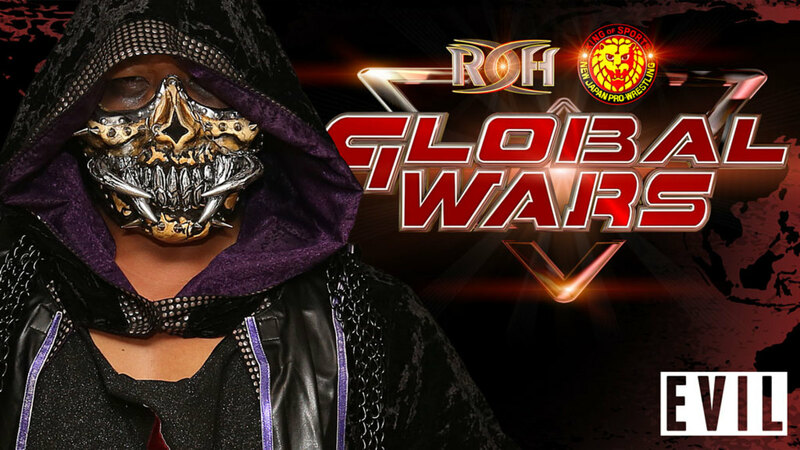 After announcing Tetsuya Naito for the tour yesterday, ROH has confirmed that Los Ingobernables de Japon members EVIL and SANADA will be in action on the Global Wars shows. Former IWGP United States Heavyweight Champion Juice Robinson is also set for the tour. EVIL and SANADA wrestled for ROH at their post-Death Before Dishonor television tapings last month. They took part in a four-way tag match that included The Young Bucks, Beretta & Chuckie T, and Christopher Daniels & Frankie Kazarian. Robinson hasn't appeared for ROH in the United States since facing Marty Scurll at a set of TV tapings in January 2017. The Global Wars tour will begin in Lewiston, Maine on November 7. There are also stops in Lowell, Massachusetts on November 8, Buffalo, New York on November 9, and Toronto, Ontario, Canada on November 11.